We are among the prestigious organizations engaged in manufacturing and supplying Rotary Airlock Valve. 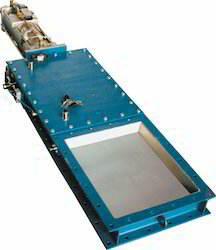 These vales are used to manage the discharge rates of fine or granular free flowing, dry solid materials connecting parts of a system at equal pressure or with minimum air loss under differential pressure conditions. In addition to this, our products are strictly tested on various parameters of quality in order to ensure flawlessness. We are counted among the most distinguished organizations engaged in manufacturing and supplying Double Flap Valve. Used for stopping bridging of material in the valve and allowing proper replacement of seat & flapper, these valves are manufactured in accordance with industry laid norms. Rigorously tested on certain established parameters of quality, all these valves are offered in various specifications as well as in custom-built range. Driven by perfection, we are instrumental in manufacturing and supplying a quality range of Diverter Valve. Manufactured by our experienced professionals in tandem with industry standards, these valves are used to divert material from one direction to another without any kind of obstruction. In addition to this, our professionals make sure to use premium quality material and modern machines while manufacturing. Also, our experts keep vigil on every stage of production, so as to maintain higher standards of quality. With the aid of our experienced professionals, we are engaged in manufacturing and supplying Slide Gate Valve. 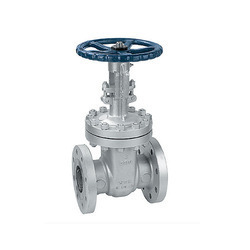 These valves are manufactured under the supervision of experienced professionals, who strictly follow the established guidelines of the industry at every stage. With firm commitment to quality, our professionals utilize modern machines and optimum quality material while manufacturing these gate valves. We deal in Gate Valves.